If you are planning on witnessing to Hindus, or serving as a missionary to India, or even dealing with Western adherents of Hindu cults, you should know a little about the Vedas. 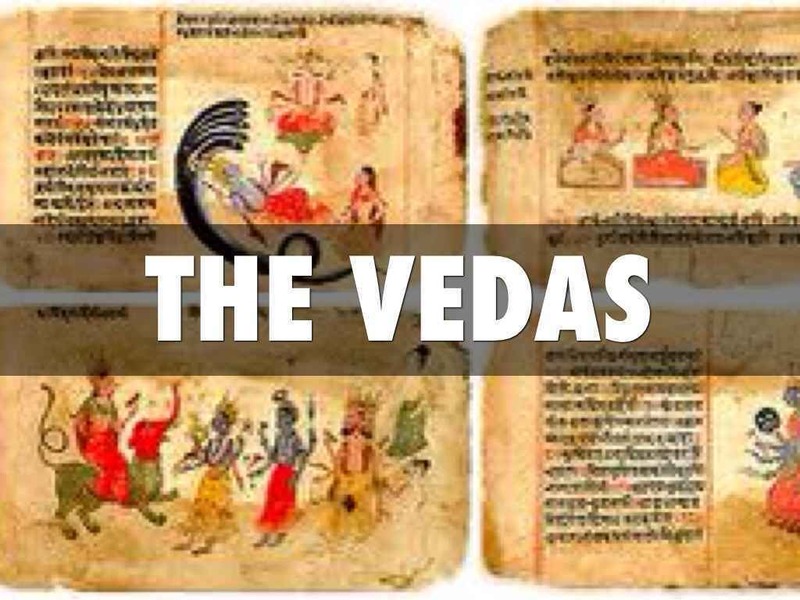 The earliest Hindu writings are known as the Vedas. 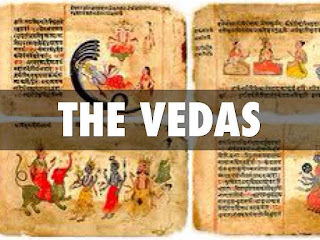 The term Veda is the common word for all four strands of Vedic literature – the Rig Veda, Sama-Veda, Yajur-Veda, Atharva-Veda. And the word Veda comes from the word vid - meaning knowledge. These are different levels of knowledge. The Rig-Veda simply means the hymns of knowledge. It is comprised of 1028 hymns. The Rig-Veda is collected together into 10 sub-sections that are referred to not as books, but as mandalas. A mandala is an artistic diagram Hindus believe gives one insight into the nature of the cosmos. The theological term for this is cosmical homology. Cosmical homology is the belief that by studying something tiny, or a representation of something, you can gain insight into the entire cosmos. The Hindus have long believed, for example, that if you understood the human body you could understand the universe – that there's a connection between the individual body and the entire universe. If you understand even a single atom, you can actually understand the whole universe. Hindus believe that by studying these diagrams and by meditating on them, these diagrams can give you insight into the universe. Now that is a very, very dominant idea within Hindu thought. So the fact that they refer to the Rig-Veda as being divided into mandalas, actually gives you a little insight into the way the document functions. I'm being careful to call it document because it's not really meant to function as a document. When we talk about sacred literature in Christian circles, naturally we think about the text in more of a propositional way. What is the information or data that's being taught here? We look at it from a doctrinal perspective. It proclaims Christ's coming, resurrection and so forth. But in the case of the Rig-Veda, it's actually a collection of words that Hindu's believe contain inherent power. So each of these hymns contain the words that release the power necessary to control the entire universe and to understand the whole universe. They don't believe that the written version of this represents the reality of it. They call that the sanatana dharma, the eternal truth, that resonates through the entire universe with a certain sound. This sound is most often represented by the term Om. Hindus believe this sound is resonating through the whole universe – just like a bell that you hit. They call it the unstruck sound. It's a sound that never was struck, but it's eternally resonating. And so what happens is the Hindu sages seek to get themselves in tune with it. Again, their meditation connects themselves with the whole universe. It's part of the cosmical homology. And eventually, they believe that they're in touch with this sound. And this sound contains all of the Vedic knowledge. So eventually they claimed to hear these words and they wrote them down – or they at least recited them. And the structure of this is that originally these are the words of the priest, or hymns of the priest, collected together in what is known as the Rig-Veda. And then later, these same words get used by the priest to form chants or mantras. A mantra, or a chant, is a certain way that you arrange the words in order to create and release spiritual power. So, for example, of the 1549 stanzas of the Rig-Veda, 1474 of them reappear in the Sama-Veda – just in different form. They're shaped differently and they're turned into mantras, but essentially it's the same material. So to know the Rig-Veda is essentially to know the Sama-Veda. There's not a lot of difference between the documents in terms of the actual words. The difference is how they're used. So actually, rather than thinking of the Rig-Veda as four books – like the Rig-Veda, the Sama-Veda, the Yajur-Veda, the Atharva-Veda (or even like Matthew, Mark, Luke and John) – it's actually better to look at it as four different uses of the same material. It's not quite as true for the fourth. So all four of these are now collectively known as the Vedas. The word Sama means chants. The word Yajur stands for sacred formulas. And then the Atharva refers to secret formula. This is a collection of writings for what we would call sorcery. "How can I get this woman to fall in love with me?" "How can I cause this person this person to have, to suffer harm?" Anything that you want to have done, there's a secret formula which can create the spiritual power and cause this to happen. So this is a collection of all those formulas and it's a lot of different material. The Brahmans, who are the priestly caste chanting these hymns, they begin to write some commentary on the Vedas to explain the Vedas. These commentaries are not like the commentaries that we're familiar with which supposedly you open a commentary and it explicates something and makes it plain for like the average person to read. The commentaries are never meant to make things plain to the average Hindu. The commentary is meant to give the outline of what a particular guru teaches about the Vedas or how a particular guru interprets the Vedas, and how they understand the Vedas. These commentaries are themselves a bit difficult to read because they come across very esoteric. But they're purposely esoteric because they are being put out by priests who want to hide, not reveal, their innermost teaching. So you have the Brahmanas which are attached to the Samhitas. Not all of the Vedas have Brahmanas attached to them. So only some of the Samhitas, some of the Rig-Vedic material have Brahmanas attached to them. Then, attached to the Brahmanas, there is yet another appendices known at the Aranyakas. This emerged during the same time period. There are people that toward the end of their life they renounced the world and they go out and live in the forest. And they're called forest dwellers, or Aranyakas. Sometimes they're called sadhus. These forest dwellers would themselves meditate on the Samhitas – as well as on the Brahmanas. And they would also have insights that they believed were worth noting. And they are a lot clearer in that sense. They're actually trying to point out things they discovered in them. And finally, at the end of each of all three of these strands is the last and final appendices known as the Upanishads. The Upanishads is a whole collection of speculative treatises, highly philosophical, that really launches into modern-day Hindu philosophy, based primarily on the Upanishads. This is extremely important material. The word Upanishad literally means to sit down near and is generally believed to refer to sitting down near a guru who will pass on this information to you. They're attached to the end of the Vedas and there's a famous school of Hinduism known as Vedanta. Vedanta is the most important school in Hindu philosophy – and the word Vedanta means the end of the Vedas. And that is because they focus on the Upanishads. There are 108 classical Upanishads and 18 principal Upanishads. The 18 principal are the most important of the Upanishads. The Brihad-Aranyaka, the Chandogya, the Aitareya, the Taittiriya, the Isa, Kena, Katha, etc. There are a number of other documents like the Bhagavad-Gita and other things, the Puranas – that are also very important, but essentially this represents the most important to be aware of.